Fender’s Precision Bass has long been the industry standard in electric bass guitars. If you’re reading this article, this isn’t anything you haven’t heard before. However, it seems nowadays the simplicity, durability, and thunderous time-tested growl of this instrument has fallen slightly out of favor, and we see more and more bassists relying on the active EQs, hyper thin necks, and high output pickups of the type that the Ibanez Soundgear series originally made popular. I’ve never personally understood this trend; everyone has read a testimony by fill-in-the-blank famous six string player that they prefer using older style guitars because they just seem to have more soul, and less technology. So why have bassists become more reliant on technology rather than relying on what has worked for decades? The more reliant bassists become on active EQs and high output pickups to achieve their tone, the more sterile their tone becomes. The reason I’ve come back to the Fender Precision time and time again is due to the fact that its simplicity and ease of use, instead of limiting it, make it one of the most versatile electric basses ever made. Everyone from Herbie Hancock to Sid Vicious has used a P-Bass. For the purpose of this review, I’ll be separating my critiques into three categories: Sound, Design, and Quality. To be clear, I’m reviewing my personal American made Precision, not the less expensive Mexican made version. Sound: The word most associated with P-Bass tone is punch. And this thing delivers. Generally speaking, the Precision Bass is more known for low end thump, whereas its Fender cousin the Jazz Bass is more associated with a pronounced midrange. 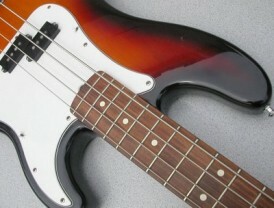 Modern bass players may carry a pre-conceived notion that the Precision Bass’s sound is dated and incapable of producing the massive tone sometimes called for in dropped tunings and heavier music, but I can personally attest to this bass’s ability to tune low, and sound huge, while still retaining note definition and a distinct metallic punch. With the signature tone of this instrument, just about any style of music is possible, especially with the subtle modern advancements Fender has made over the years. Design: The Precision Bass has a look familiar to every musician. However, Fender has made many subtle upgrades over the years. A graphite reinforced neck, high-mass bridge, Hipshot tuning keys, and a lighter coat of paint while not being obvious changes, greatly enhance the durability, reliability and playability of this instrument. One of my favorite features of this particular instrument is the signature split coil pickup. The Precision Bass’s tone is mostly derived from this specific pickup, which has a pronounced low end crunch. 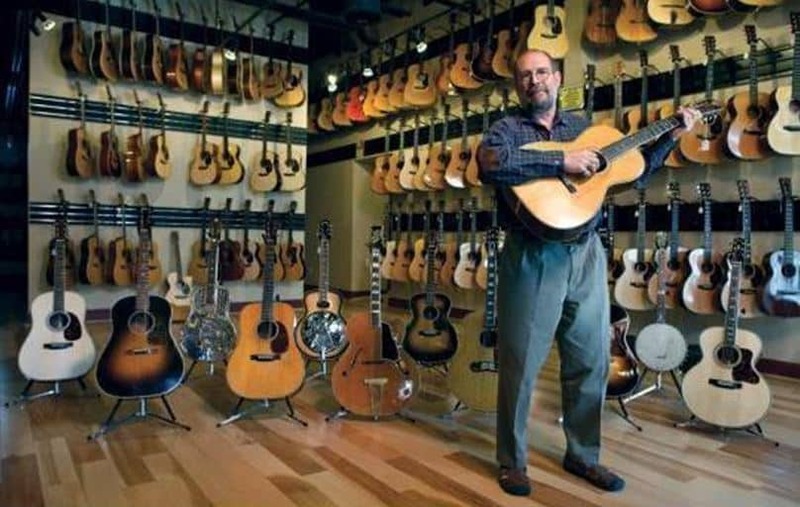 Quality: Possibly the most important thing to consider when instrument shopping is the quality of what you’re buying. Fender’s American Series is known for build, sound, and design quality. This bass is no exception. The tuning keys are some of the best I’ve come across and hold tune for days without slipping noticeably. The neck and body construction is some of the best around., I’ve dropped, thrown, punched and kicked this thing and it never caused any damage beyond paint scratches and dents. Electronically, everything holds up perfectly and delivers great tone one hundred percent of the time. Selling new for around $ 1,200, this bass obviously isn’t a bang for your buck instrument, but you get what you pay for and if you can wrap your head around shelling out that kind of cash, you’ll have an instrument that will last for years. If you’re looking for quality, craftsmanship, and timeless tone, the Fender American Precision Bass is definitely worth your time and money. I’ve owned and played countless basses and this is the only one I’ve felt completely comfortable putting my trust in to deliver recording, practicing and playing live. You can find this classic instrument at nearly every retailer in the country so do yourself a favor and go try one. Also check out Bass Guitar Shopping on a Budget article. WHY is this being sent to me now, 7 years after publishing? Because the Fender Precision Bass is a timeless axe 😀 – The true answer is because I have been doing some updates on the site and for whatever reason some stuff re-sent from Feedburner. I have no control on my end what Google Feedburner app does. Thank you for being a subscriber and commenting! Ok, thanks. I thought it was ODD cos I read this ages ago and there were no comments on it anyway!